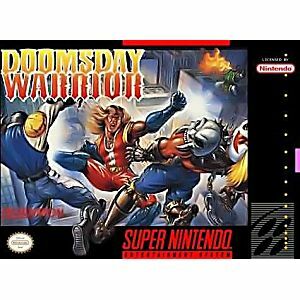 Doomsday Warrior SNES Super Nintendo Game Cartridge Cleaned Tested and Guaranteed to Work! Earth faced desperate times. In nearly every country water supplies were contaminated and famine raged. Governments scrambled to supply good food and water to the masses. What kind of natural disaster could create this kind of chaos? People really began to worry that the end was near. But nature was not to blame for the disasters happening on Earth. It was the work of the Doom Squad. Seven dastardly recruits under the command of an evil sorceress. The sorceress plotted to control the Earth to further the development of her magic. And the Doom Squad was at her disposal, causing unrest and catastrophe throughout the world. 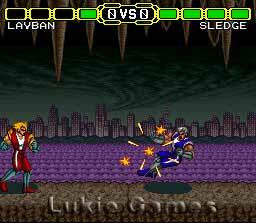 Then one of the Doom Squad members broke through her spell and became the Doomsday Warrior. The sorceress was so enraged she sent the Doom Squad to destroy this warrior and to keep her evil plan in motion. 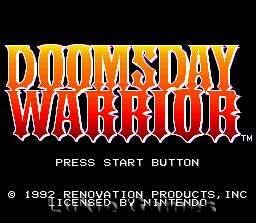 It's up to you to beat the Doom Squad and the sorceress with the Doomsday Warrior. You choose the warrior, the Doom Squad chooses the location of the battle. Can Earth return to order and peace? 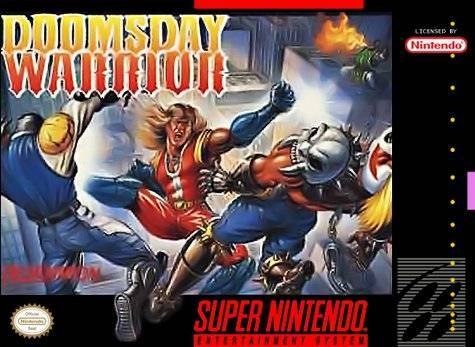 The Doomsday Warrior will make it happen!